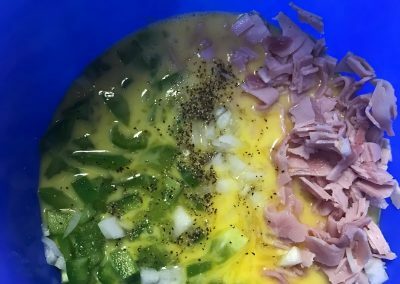 Even though my preference for a tailgate (or any party for that matter) is to make as much as possible prior to the event, this egg dish ideally needs to be prepared just before serving. 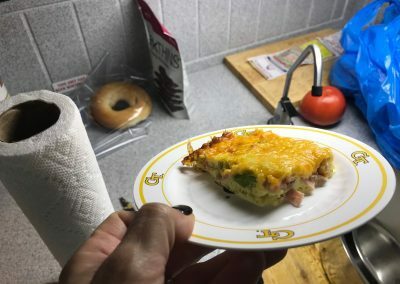 But, it’s an egg omelet that feeds a group, so you’re not slaving preparing individual egg dishes for people. 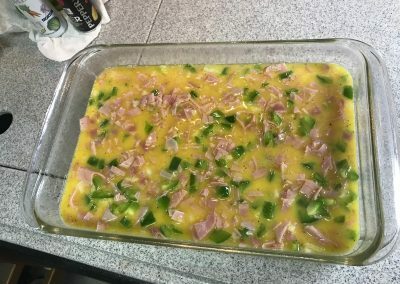 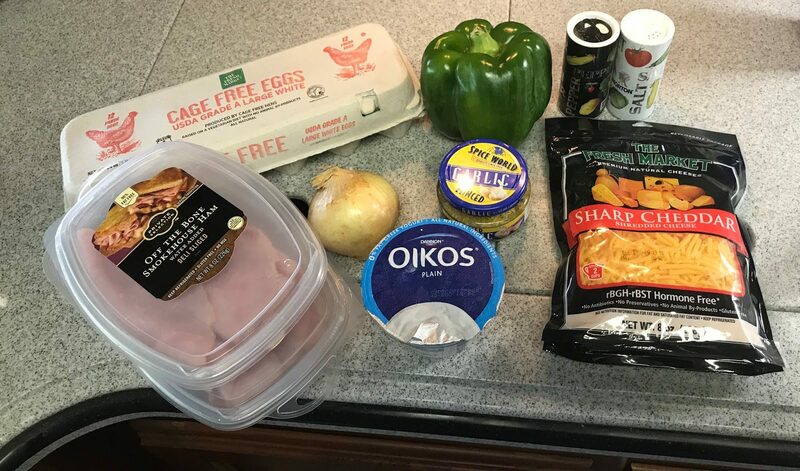 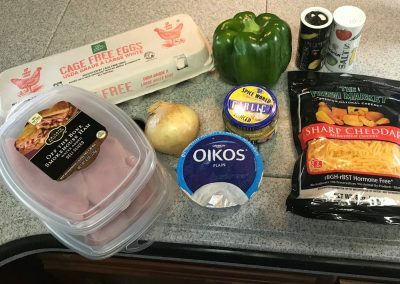 For a tailgate function, people don’t usually eat as much as they would at home, so a square of this omelet feeds at least 8 people. 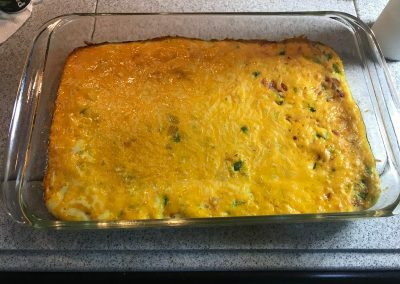 And you CAN prepare it that morning, and then gently reheat it on your grill at a tailgate. 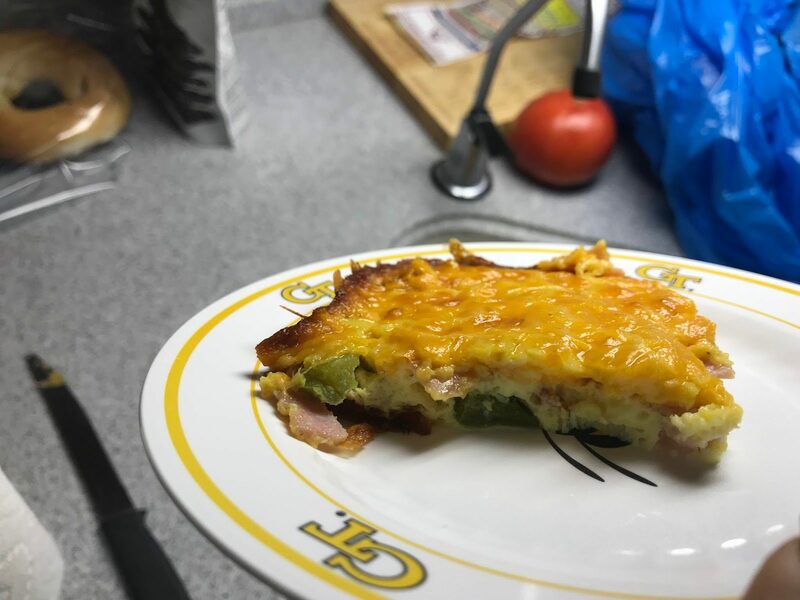 A perfectly healthy, gluten free, low fat egg dish – and…it’s delicious. 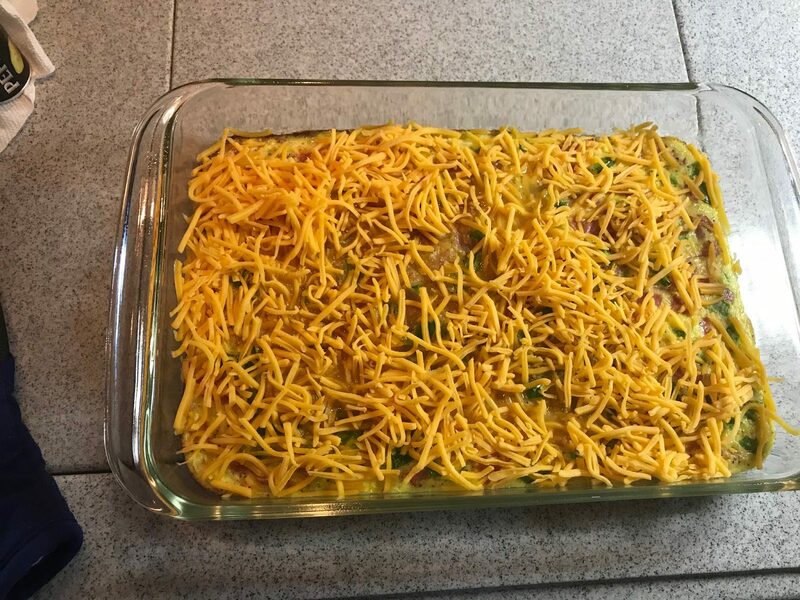 First, preheat oven to 350 degree F, and spray a 9 by 13 inch casserole dish with cooking spray. Set aside. In a medium bowl, whisk together eggs and greek yogurt. 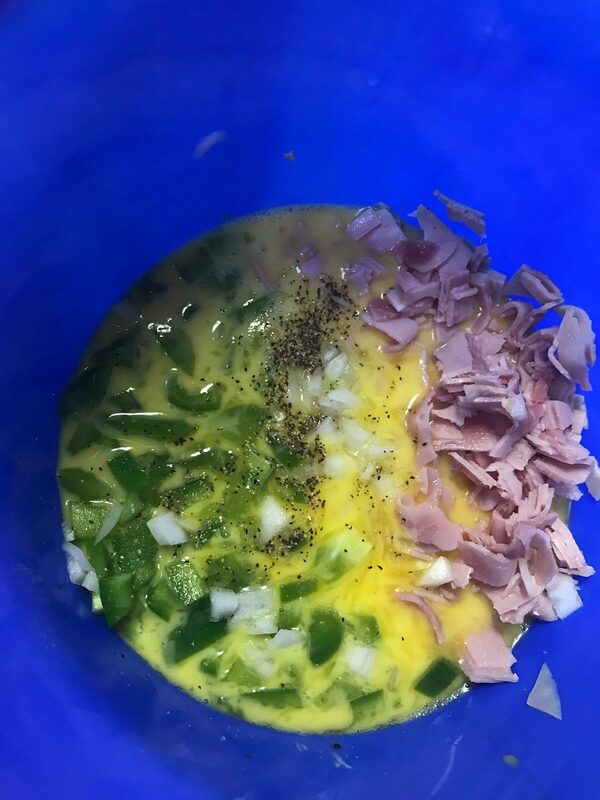 Add green pepper, onion, ham, garlic, salt, and pepper. 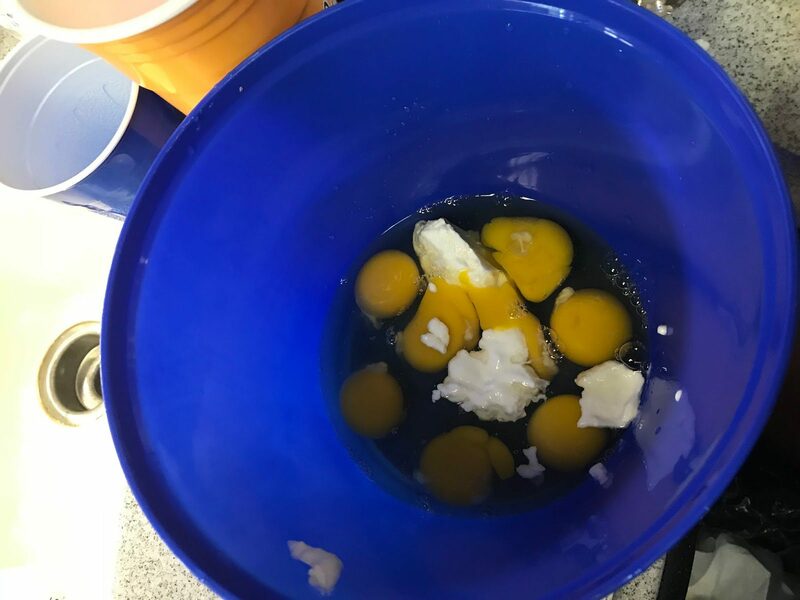 Pour egg mixture into baking dish. 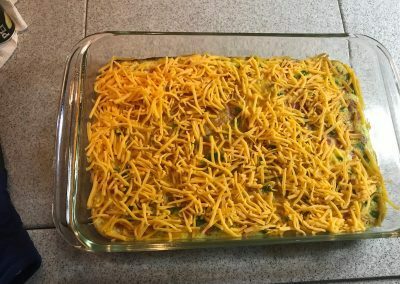 Then, place in oven, and bake for 30 minutes. 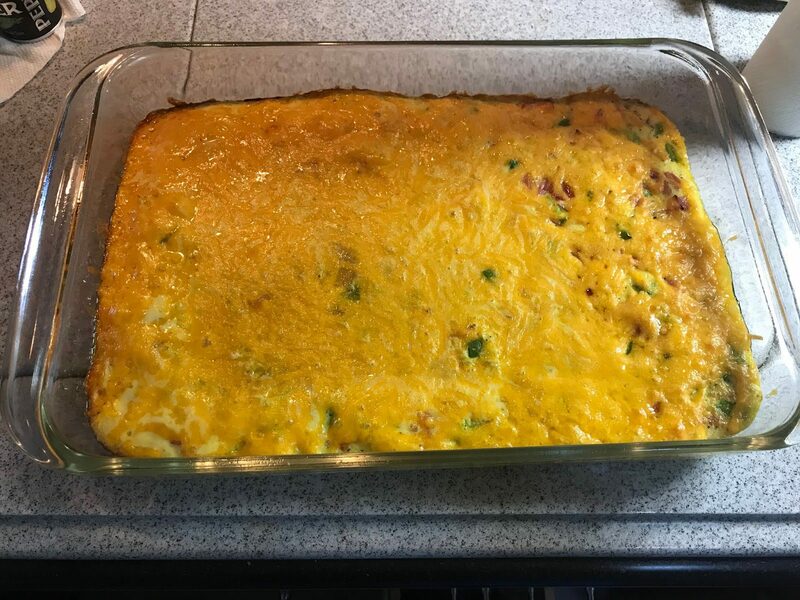 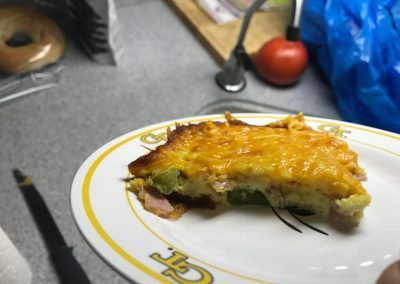 Remove from oven, pour cheese over the top, and bake for an additional 10 minutes (until eggs are fully cooked and set, and cheese has melted). 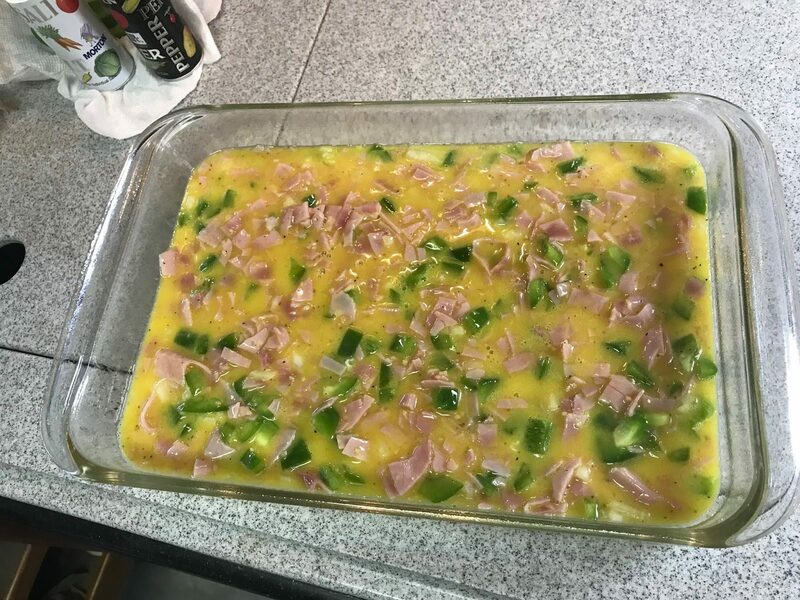 Let set a few minutes before cutting into squares.